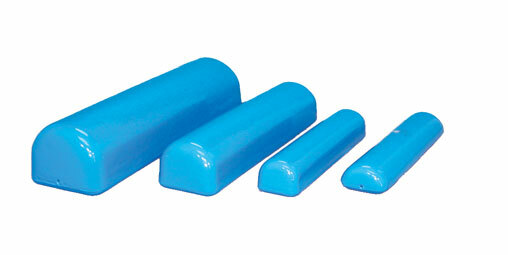 Half rolls combine the stability of a wedge with the positioning versatility of a roll. Use velcro hook on flat bottom to anchor your roll for additional security. Provides stable base for knee flexion and extension. 4×18", 2", 4×18", 3", 6×24", 4.5", 8×30", 6"